This is a great find for summer – fun, versatile, easy to make and kids will love it. What’s more, you can now get it right here in Australia. Earlier this year, Babyology brought you news of this fabulous quick freeze gadget available from the States. Well we’re happy to reveal you can now buy not just the kit but the whole accessories range just in time for our Aussie summer. It really is a superb idea – just keep the base unit in your freezer and when you fancy some icy poles, you can rustle up any number of yummy treats quick smart. No need for electricity, it’s BPA and phthalate free, and apparently takes only seven minutes to freeze, plus you can make whatever flavour you want. 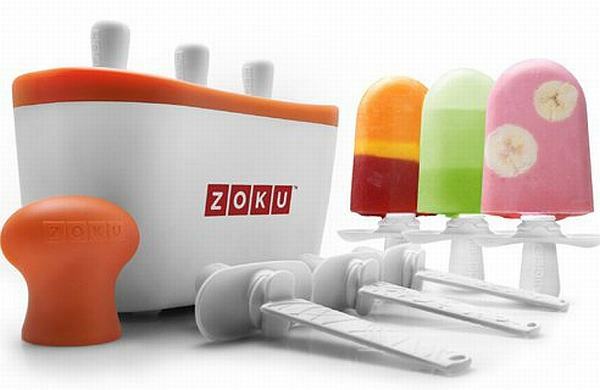 The basic Zoku set costs $69.95 plus shipping. Check out the rest of the range, including the great tools set, at local stockist Urban Baby.